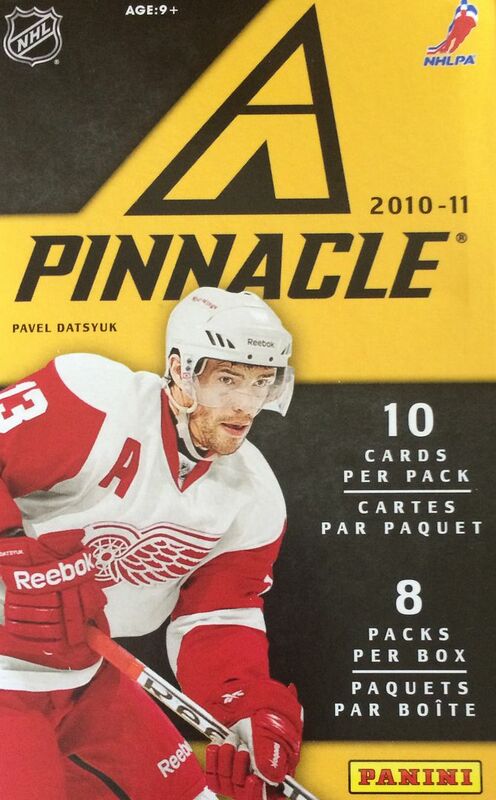 10/11 Panini Pinnacle has been a staple product for me to open on Retail Review. It's always readily available, and each blaster comes with a hit (usually a jersey card). The consistency of the product is one of the things I most appreciate about it. There's always something to look forward to in these blasters. I remember the 2010/11 collecting season very fondly. 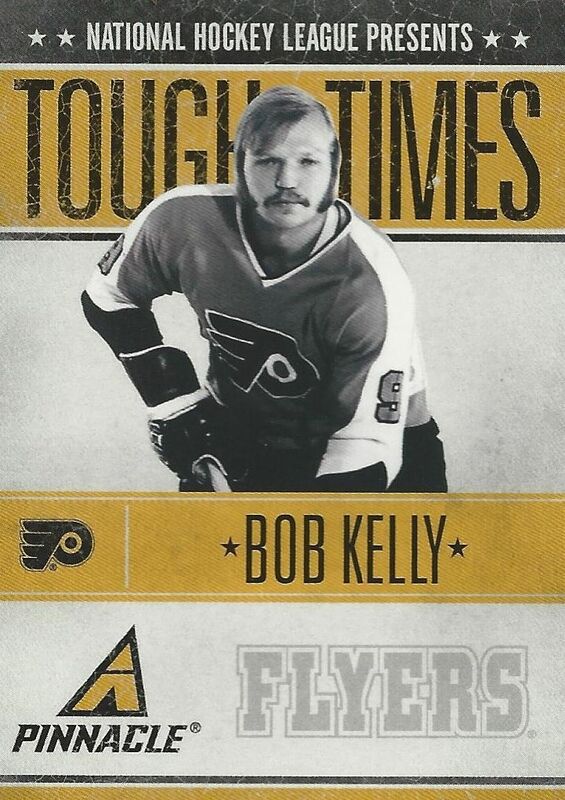 In fact, I'm not sure if there has been a better season for collecting hockey cards. The whole community was abuzz with the arrival of Panini and with the amazing rookie class that year. Pinnacle was a mid-season release if I recall correctly, and I remember being fascinated by it's bold black and yellow packaging in a very strangely designed box. Pinnacle wasn't a huge hit and the prices of it plummeted. I wished that better things happened for the brand since it was one of my favorites as a kid, but Panini sort of dropped the ball on it. I'll still buy these blasters though! Like I said earlier, the blasters are a fun little rip and are great to have a little fun with. It seems as though there is plenty of it still around... but I wonder for how much longer. This was a good break of Pinnacle. It was a lot of fun checking out all the stellar photos on the cards, and it was cool finding a few different inserts in the box. I got a total of three Ice Breaker rookie cards with one being a NuFex parallel card. I still find it a little surprising that after all these years, I still have trouble pulling the big name rookies from any 10/11 product. The likes of Hall, Eberle, Subban, and Seguin always seem to elude me. In the end, I did end up with a big stack of base cards to enjoy. It's cool that Pinnacle doesn't seem to skimp in terms of quantity. For the ten dollars I spent on it, I feel pretty good. It was a toss up whether to choose the Ice Breakers NuFex card or this one, but I chose this Tough Times insert because I just like the design and theme of these cards. 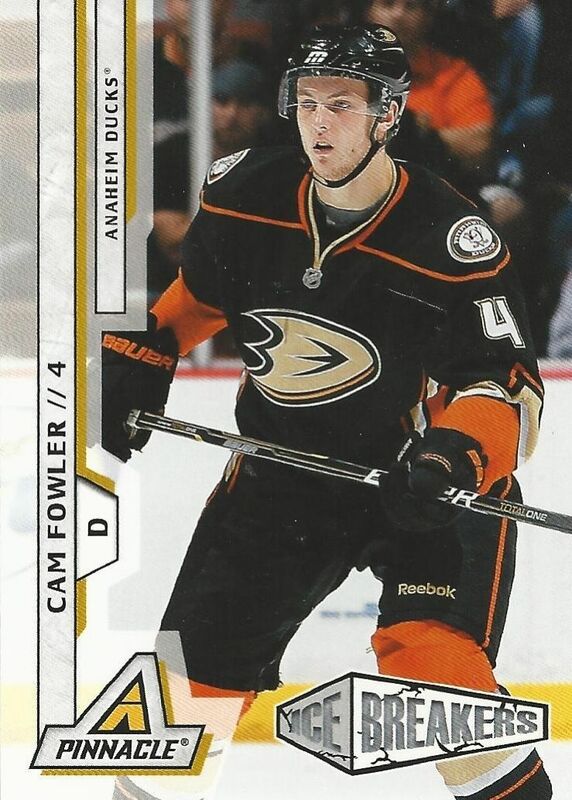 Fowler has turned out to be a strong rookie from the 10/11 class. His cards probably won't rise too high because he plays D, which is too bad. 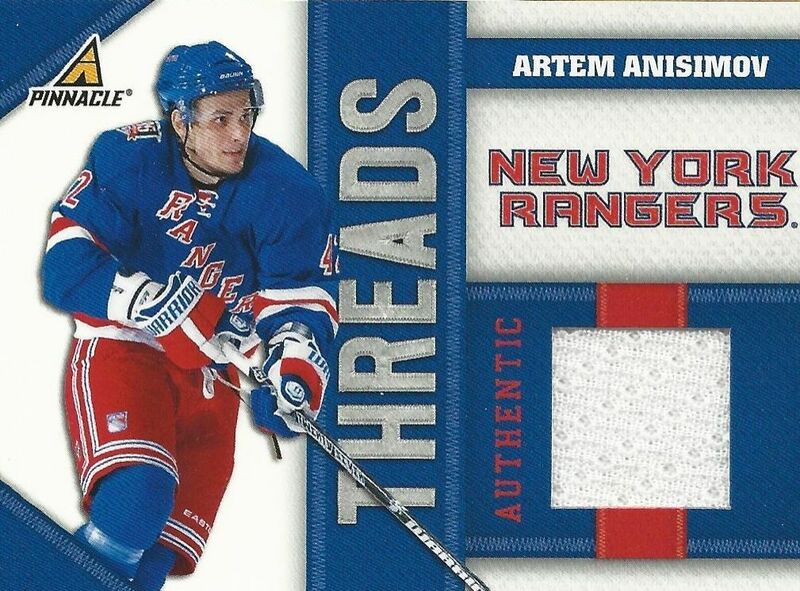 The Threads jersey cards are pretty sweet looking jersey cards. The design fills up the card well and the colors on the card work great as they always match the team colors. I definitely recommend buying blasters of Pinnacle if you can find them in the ten dollar price range. They are a fabulous deal and will net you an enjoyable opening experience along with a few nice cards for your collection.